When choosing a real estate agent to sell your property it’s important to look at different marketing options that you have available and it’s very important to choose real estate agent who knows how to market a property effectively. Today I sit down with Sam Towns from Petrusma Real Estate which is the largest independent real estate company in Tasmania. He is the managing director and we talk about the different ways to market your property and some of the things that he is doing for his clients to get them the best sell price as possible and turning over houses in sometimes as little as a week. Usually there are a lot of aspects to a marketing campaign. As a company there is a lot that we actually do for the client so, we will do professional photography, floor plans, brochures, direct mail, all of those sorts of things. There is usually four things that are components for owners to consider. One of those would be the newspaper, one of those would be the online advertising, the sign board and then I do videos of my properties as well. When people have the option to choose whether they get professional photography or not, lots of them would chose not to, they would think that that don’t matter. So we took that decision away from them because photos make a massive difference. 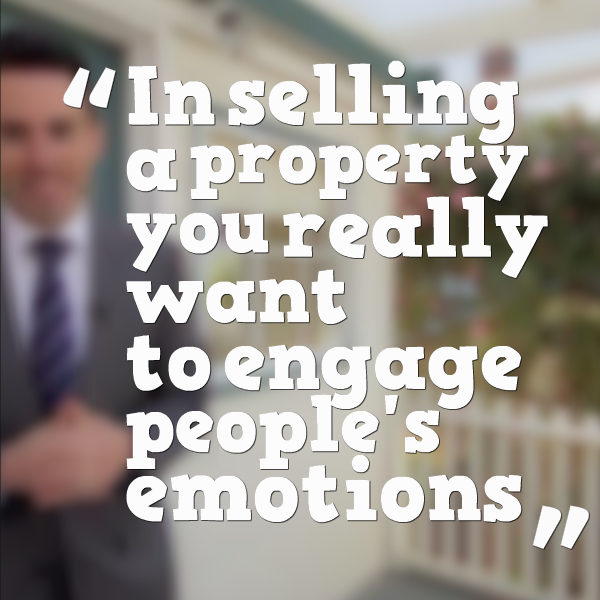 In selling a property you really want to engage people’s emotions, you want them to emotionally buy that property and see themselves in that property and they really making that decision sitting in the lounge room at 9 o’clocl on that couch. If they decide they couldn’t see themselves in the property after that just won’t show up. B. 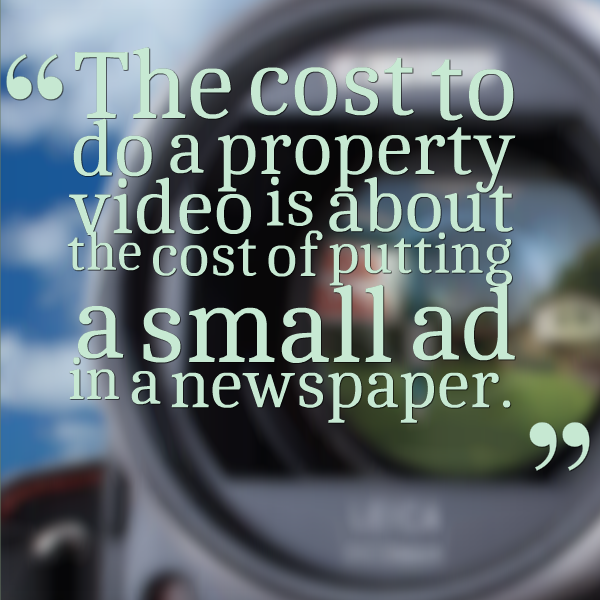 It doesn’t do anything for our brand or image if representing properties in a poor way. Apart from the newspaper, the internet, signboard and video – there is also staging. Often on empty homes it is worth getting a professional company to come and stage a property. That’s the decision that an owner must make to invest that kind of money into staging but again to the very reason we’re talking about the importance of photos of having their emotional buying. Furniture in the property makes a massive difference so I’m finding that that’s going a long way in helping getting much better results in the sale. How Important Are Newspapers In Advertising Properties For Sale? Most reflections that I hear from people that are selling in the Sydney, Melbourne or across Australia markets are that newspapers are dead. That’s definitely not case for us in Tasmania, newspapers are massive in our budgets and in what we promote. A lot of that has to do with getting people to the open homes. What we’re finding that if we just advertise an open for inspection on the internet, we’ll get a relatively small show up of buyers. But if we put that a showcase of a property in the newspaper we’ll find a much better turn up in the open home. There will always be genuine buyers come to open homes and we want those genuine buyers to see other buyers, looking in the property, interested in the property and feeling like this is a house that everyone wants. So part of my job is to make sure there’s open homes full of people. Newspaper is really important part of that. The other thing we find in newspaper is, a size of the add makes a big difference on people’s perception of value. So, I’ll have a $1.4 million property advertised with a decent size ad but equally I’ll have a $300,000 also shown with that same sized ad, with the same pride and the same care taken on the ad because it’s all about the a buyers perception of value. If they think “that looks like good value for the money” then they will engage with the property so we want to make sure that if we got a price on a property that it looks like it is worth it. If buyers are very cool towards the property (because of a lack of other interested buyers), they might make an offer – but it will probably be a lowball offer. I’m selling a house as we speak, I’ve got a number of offers today, the first open house is tomorrow, and I’m going to be going to the owners tomorrow afternoon with all of the offers and presenting those to the owner. If the buyers that I’ve had through thought that they were the only ones interested, those offers would have been on the lower end whereas as it is, they may have to really compete and really put the best offer forward to make sure they give themselves every chance to buy. In our market, every state is different. For some states Domain is the main website, for us the Realestate.com.au is the major website. We have a fairly significant percentage of buyers coming through realestate.com so our priority is realestate.com but we still do part of our properties on Domain and probably 12-13 other websites as well they automatically go out. 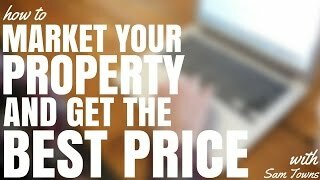 But in terms of our investment, in what we buy into the most, we know that people are looking for real estate in Tazzy, chances are they are looking rough realestate.com.au. We give out the owners the option to upsize their adds but as a base minimum we feature properties so that none of our properties are standard listings. We made that decision but we do also have the option for them to upsize or even highlight their property on realestate.com.au. The benefit of upgrading your listing is that the owner ends up with more visits. So again, if I think of my priority of selling the property is to have as many people engaging with it as possible and I don’ t want to know that someone would have been in that market for that property didn’t engage with it just because they didn’t know about it. So we want to make sure that if they jump on realestate.com.au they are going to see it. If they flick through newspaper it is going to hit them in the face, if while driving past it on the street the signboard is going to grab their attention. So it is about being everywhere where they are so if they are interested they will see it. Our boards use photos and full gloss images and the other thing that we have done is we have got QR codes on our sign. Decent size QR code so you don’t have to wave your smart phone in the direction of the sign, it immediately picks it up and send you to the dedicated mobile website which means that then you can flick through all of the photos, through all of the description, you can see floor plan, you can tap on the video, watch it on the net from the sign because of the size of the QR code you can do it probably from your car and still have that work. We probably get 40 or 60 scans a week, it is decent. Every form of print media had QR codes on. You are always taking the print media which is a static media and directing people to online and QR codes just mean they don’t have to type in the URL and fumble over the website, they just scan the code and they are there. You got to understand, when you are thinking about the buyer you want to draw them into the properties. So when you are talking about the internet, you talk about bounce rates. Most properties have a 3-5 second bounce rates. I think that agent you choose is very very important. 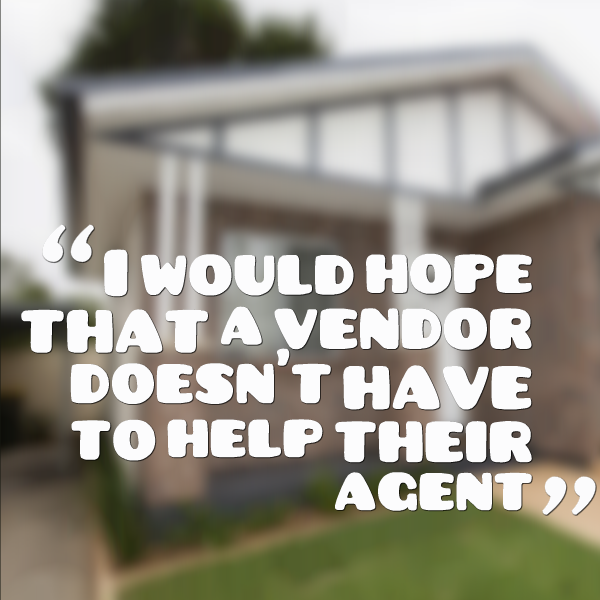 I would hope that a vendor doesn’t have to help their agent, I would hope that a vendor chooses an agent that actually is able to help them so I really want to bring the value to the table as far as owners are consenting. If they’ve got feedback, they’ve got certain ideas more than happy to take that on but I’m hoping that they don’t have to advise me on what we can do better and that I’m actually giving them something that they get “wow, we didn’t think that our property could be presented this well”. Realistically the best thing that an owner can do is to choose the right agent who is going to showcase their property correctly from the start. You guys do this every single day, 6-7 days a week whereas often owners selling properties might do once in a lifetime or once every decade or something like that. So definitely do your research and choose an agent that you think will be able to help you the most.